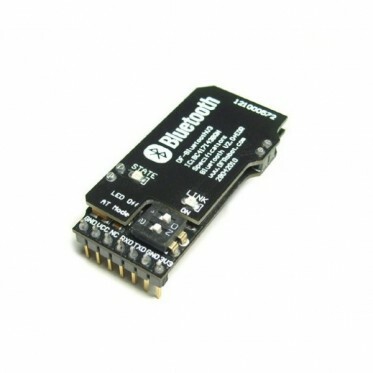 DF-BluetoothV3 Bluetooth module uses a unique double-board design, it is beautiful and aim to prevent electrostatic damage to the module. It is designed to have 2 DC power input, wide voltage supply (3.5V ~ 8V) and 3.3V power supply, suitable for various applications. 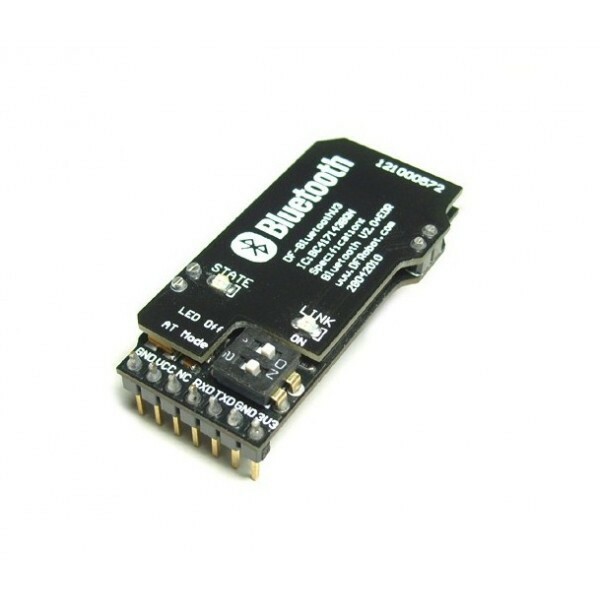 STATE LINK is indicated by a clear and bright LED which is used to display module status and connection status (STATE state: Search state (high 104ms 342ms 2.9Hz cycle flicker) connection status (high 104ms period 2s 0.5Hz flashing), LINK state: paired ).It has build-in on-board antenna which provides high quality signals.